Even fans of the show are liable to be let down by this middling piece of pop culture slop. One of the key advantages of writing for TV is how well it supports asymmetrical storytelling. Because of its long-form nature, you can do wonderful things on TV like dedicate an entire 47-minute episode of Breaking Bad to Walter White chasing a pesky fly around a meth lab. Movies—particularly expensive ones based on TV shows—are incredibly unforgiving in this respect because there’s less time to work and a ton of ground to cover. This, in a nutshell, is why “last hurrah” standalone movies based on a TV shows typically fall short. Entourage falls short. It also falls into the same trap most series-ending movies do: by trying too hard to pay service to all of its characters, it serves none of them. It’s spread too evenly and too thin and is virtually indiscernible from an episode from its TV mother. The hallmark of the franchise is its simultaneous idolization and lampooning of those with celebrity status, but in the case of this movie, that idea isn’t expanded on in the slightest. We’re still watching five Hollywood sleazeballs do dumb, rich-white-guy things and freaking out over problems none of us can relate to. Things pick up where the show ended, with agent extraordinaire Ari Gold (Jeremy Piven) coming out of his cushy Italian retirement to reunite with his old pal, movie star Vince Chase (Adrian Grenier), and their party-posse of semi-lovable Queens cats: Drama (Kevin Dillon), Turtle (Jerry Ferrara) and E (Kevin Connolly). Ari’s been elevated to studio head and offers to finance a movie for Vince to star in. Vince agrees without hesitation and with one caveat: he insists on directing. Vinny’s dream production is being paid for by Texas billionaire Larsen McCredle (Billy Bob Thornton), who backs Ari’s studio. Ari, who’s still managing the anger issues that almost cost him his family in the show’s last season, is stuck in the aggravating position of middleman between dubious McCredle and lackadaisical Vinny. To ensure the film isn’t a sour investment, McCredle sends his brash son, Travis (Haley Joel Osment), out to Los Angeles to oversee the project. E should definitely be getting back together with his pregnant, picture-perfect ex, Sloane (Emmanuelle Chriqui), but he’s too busy screwing random chicks and not giving a damn. Poor guy. People still don’t take Drama seriously as an actor, and to make his career outlook even worse, a video call of him jerking off for his girl by a pool gets leaked to the Internet. Whoops! Turtle’s still being Turtle, driving the guys around and managing his various “side businesses,” but he bungles a date with UFC champion Ronda Rousey, who subsequently breaks his arm for his rudeness. What a hoot! Even as someone with limited knowledge about the HBO series, it was easy to identify the film’s rudimentary game plan: watch the crew of idiots act like, well, idiots, one last time. One last time. It’s that mantra that sinks movies like this, movies that are overly concerned with paying tribute to the “essence” of their beloved characters when they should be taking them to new places. Director Doug Ellin has no such ambition to elevate the show’s material, cinematically, comedically or narratively. It’s disappointing that Entourage follows its TV counterpart’s formula so closely, but hey, the formula ain’t half bad. It was good enough to make the show successful for eight seasons and develop a passionate fan base, which is nothing to scoff at. The core cast members have crackling, effortless chemistry, and watching them volley insults, dumb questions, and dumb advice around their little circle of buffoonery is pretty entertaining. Piven has always been the standout of the group with his frenetic, quasi-Napoleonic schtick. He and Robert Downey Jr. have mastered the art of making pomposity irresistibly endearing. The biggest surprise of the film is how good Osment is as the petulant prince billionaire. He’s a great jerk, sidling through the film Texas-style with a cocky grin that’ll make you forget how gosh darn cute he was as a kid. The film’s advertising has boasted that, even if you’ve never seen the show, you can still join in on the fun. As the saying goes, just because you can doesn’t mean you should. Despite the tidal wave of testosterone and dude-isms it is, the movie’s got no balls. It takes no risks cinematically, narratively or comedically. 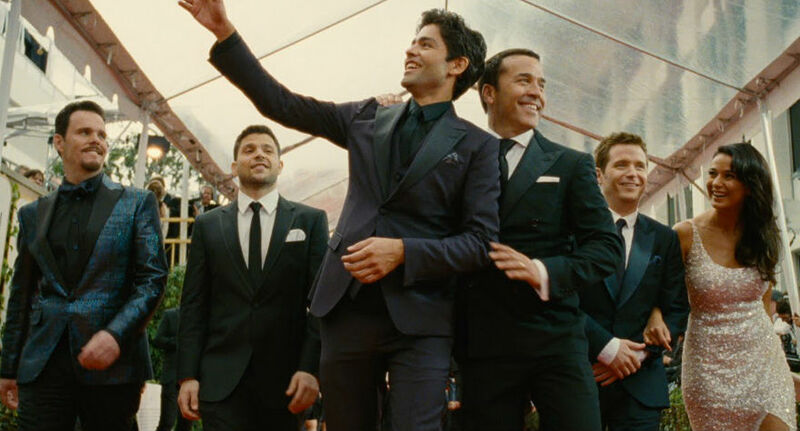 I’d say Entourage will at least please die-hards who’ve stuck with these characters since their introduction in 2004, but something tells me even they’ll be underwhelmed by this hollow, middling piece of pop culture slop. 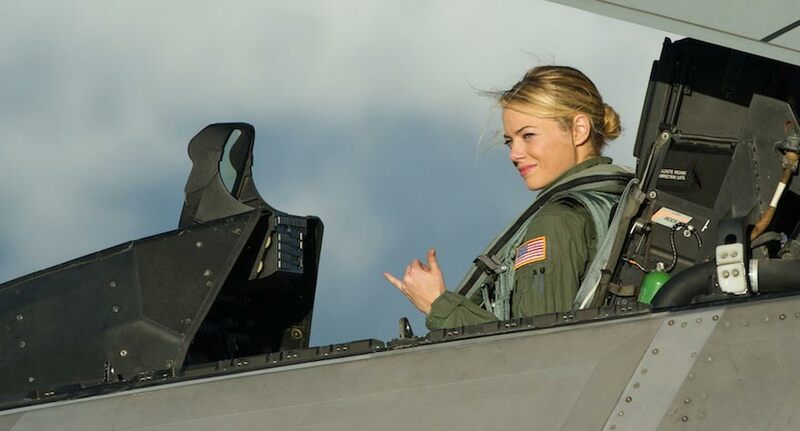 Cameron Crowe posts an apology for his misunderstood film Aloha and an explanation his casting choice of Emma Stone.